The Government announcement follows the Volkswagen scandal, where the firm was found to have installed ‘defeat device’ software in cars sold in the US that detected when a car was being tested. The Department for Transport (DfT) said its consultation saw ‘overwhelming support for measures to crack down on emissions cheats’. The Road Vehicles (Defeat Device, Fuel Consumption and Type Approval) Regulations 2018 will be laid in Parliament before coming into force on 1 July. Transport minister Jesse Norman said: ‘There has rightly been a huge public outcry against car manufacturers that have been cheating on emissions standards. Their behaviour has been dishonest and deplorable. 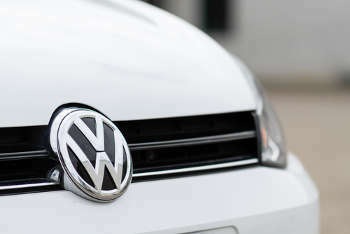 The DfT said that following the Volkswagen scandal in 2015 it tested a range of the most popular diesel vehicles in the UK which found that no other manufacturer tested was using a similar strategy to VW. The firm reimbursed the Government £1.1m for the costs of this programme. However, the True initiative (The Real Urban Emissions Initiative), which uses roadside remote sensor technology to measure real world emissions, has found that even the latest vehicles still produce more NOX (nitrogen oxides) than the most recent Euro 6 standard. According to True, all Euro 6 diesel models tested exceeded the NOX emission standards,with even the best producing emissions of more than twice the type approval limit, and all other manufacturer groups at least four times the type approval limit. Euro 6 petrol vehicle NOX emissions for the worst manufacturers were within 1.5 times the type approval limit. All Euro 5 diesel families had NOX emissions at least twice that limit, and the worst had emissions 18 times the limit.